Jung gave insights into the psychological processes that take place in the second half of life. Work organisations need wisdom of this nature better to make judgements about their futures. 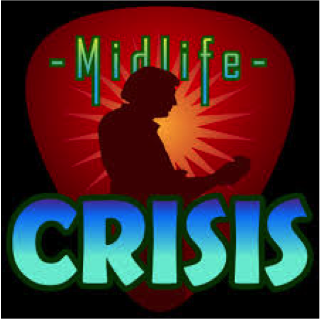 But few seem to understand or support the maturing process towards individuation and focus instead on the apparently mad impulses of mid-life crisis behaviour. Understanding Jung’s ideas in this area can give work organisations a real competitive advantage as its workforce ages. Our population is ageing and greater numbers of older people present challenges and opportunities for work organisations. The opportunities include new market possibilities aimed specifically at ‘silvertops’, and they include the possibilities that come from more mature and potentially more rounded employees. Challenges can include: how to market products and services to more complex and discerning segments of the population; how to keep more mature employees motivated; and how to understand and manage the sometimes painful transition to later life. In contrast to Freud and to many other great psychologists, who focused much more on people in the first half of their lives, Jung developed insights that are critical for both managers and marketing professionals alike, as well as for individuals in the second half of their lives. For him, the second half of life is when things get really interesting. ‘Individuation’ is the term he used for the maturing process, the process by which we broaden out and develop deeper lives. For Jung, younger life is about finding one’s place in the world, about career, family and responsibility, while, psychologically speaking, it is about the development of the ego – our sense of our own identity. In later life, some of the latent possibilities within us that are as yet untended have the chance to emerge. The trouble is the transition can be tricky for some. The stereotypical midlife sports car, a new wardrobe and extra-marital affairs are perhaps the less subtle manifestations of a search for a new mode of living and being, and a search for a new way of expressing oneself. While this kind of behaviour can present challenges for organisations whose senior managers may go off the boil during this period, such stereotypes mask the vast array of ways in which people make their transitions through midlife. Executive coaches will all know that the search for greater meaning can be central to the contributions they facilitate. A common subtext for leadership development programmes is to re-energise managers who have lost their ‘mojo’ in some way. In Swahili, the word ‘mzee’ literally means old man, but it carries a notion of much greater respect than its English counterpart to the extent that Kenya’s founding president was simply called ‘Mzee’. Similarly, we derive the English word ‘senator’ from the Latin ‘senex’ or old man (and senile too, but that’s another story). The notion of wisdom in older age is one that has become somewhat tired in the youth obsessed West, but is central to Jung’s archetype of the sage, a repository of wisdom, felt still in our culture within the term ‘national treasure’, as applied to characters ranging from Ann Widdecombe to Mick Jagger! Whether wisdom resides in either personage is not the subject of this piece, but the idea is of seeing things more in the round, of a fuller picture, of being truly comfortable in one’s skin and able to give more dispassionately to others. Just think of your ideal grandparent and you’re on to it! For work organisations, the ageing population is still an untapped pool of potential that People and Marketing departments alike are struggling to understand. Jung’s ideas help us understand these challenges and provide a spirit guide for the individual struggling with the sudden and unexplained impulse to have cosmetic dentistry and go bungee jumping at around the age of 40. But beyond personal crises, which can need sensitive handling, a naturally ageing workforce, combined with the need for older people to remain in work longer, present organisations with the challenge of creating work places that are more meaningful to the person, who now seeks greater personal fulfillment whether in the workplace or beyond it. Providing, for example, management and leadership development programmes, or one to one coaching, that both acknowledge that this is likely to be on the agenda for an increasing number of their most experienced employees and can help them foster further the ‘individuation’ process could be a source of competitive advantage in the future. Individuation is ‘posh’ for maturing and gathering wisdom. Work organisations need this wisdom more than ever! 1. Think of the elders in your work organisation. Are they struggling with a maturing body or beginning to grow into a wiser sense of self? 2. What do you think works best to support this segment of the workforce mature into wise heads?